This fall, Apple will release the next version of the Mac’s operating system, now called “macOS” to match with iOS, watchOS, and tvOS. As with the last few versions—Mavericks, Yosemite, and El Capitan—the new macOS 10.12 Sierra won’t force you to change how you use your Mac, but it does bring a bunch of features that you might enjoy. Most exciting among Sierra’s new capabilities is the addition of Siri—you can finally talk to your Mac just like your iPhone. You can ask Siri to open apps, display certain files in a folder, check how much drive space you have free, and adjust settings, plus carry out tasks with Siri that you already do on the iPhone, such as searching Google, checking the weather, making reminders, and looking up sports scores. Invoke Siri by clicking its Dock icon and wait a moment, and you’ll get a list of fun and serious suggestions for things you can ask. 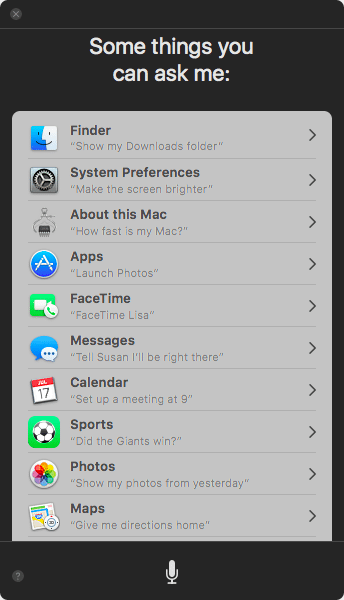 For an organized directory of questions Siri understands, click its Dock icon, and say “What can I ask you?”. iCloud Drive becomes significantly more interesting in Sierra, thanks to an option to sync your Mac’s Desktop and Documents folders to iCloud. Once they’ve uploaded, you can access their contents not just on any other Macs you may have, but also on your iOS devices and the iCloud.com Web site. Note that the actual Desktop and Documents folders then move from your home folder to the iCloud Drive volume (choose Go > iCloud Drive to open it). Beware that enabling this option may require paying for more space on iCloud Drive. People who work back and forth across a Mac and iPhone or iPad may also appreciate Universal Clipboard, which synchronizes clipboard contents to all your devices in the background. Copy a phone number from an email message on your Mac and a few seconds later you can paste it into your iPhone’s Phone app (press for a second or two in the white space above the numbers, and then tap the Paste button that appears—useful, eh?). Being able to open multiple pages in separate tabs is standard fare in every Web browser, and Apple added tab functionality to the Finder several years ago. If you like tabs in Safari and the Finder, you’ll be pleased to hear that Sierra makes it so almost every app that can open multiple document windows can do so in tabs as well. Apps won’t have to change; just look in the File, View, and Window menus for tab-related commands. Those who have become accustomed to the security of using Apple Pay from an iPhone or Apple Watch to pay for a burger at McDonald’s or groceries at Whole Foods will be able to bring the same level of security to many Web transactions. With Safari in Sierra, on Web sites that accept Apple Pay (which will be a lot), you’ll be able to enter your payment info with Touch ID on your iPhone or with a paired Apple Watch. Much as it may seem odd to complete a transaction on your Mac using an iPhone or an Apple Watch, the Touch ID fingerprint sensor is a key aspect of how Apple Pay remains secure. The final big-deal feature in Sierra, called Optimized Storage, has a number of options that you can enable in the redesigned System Information app—look in Window > Storage Management. Designed to free up space on Macs with relatively small drives, Optimized Storage can remove the local versions of files stored in iCloud (including older files of your Desktop and Documents folders; make sure you have a good backup to be safe!). You can download one if needed by double-clicking its icon. It removes already watched movies and TV shows from iTunes along with email attachments from Mail, all of which you can download again if necessary. 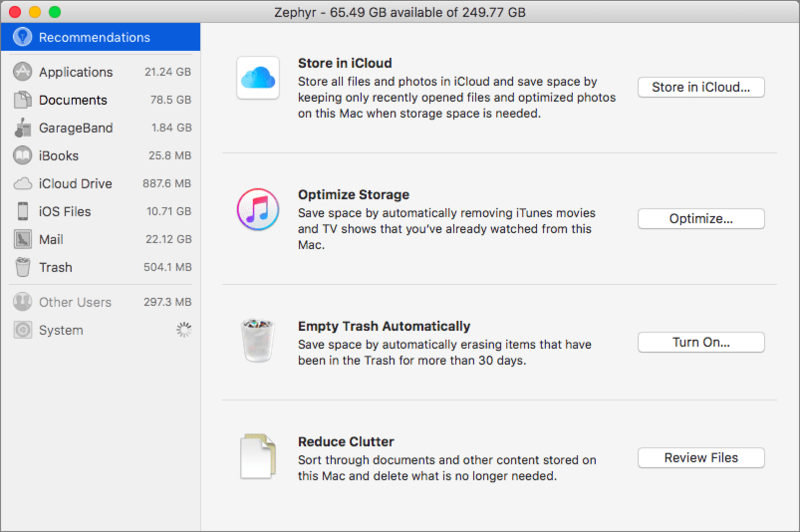 It can delete files from your Trash after they’ve composted for 30 days, and it helps you reduce clutter on your Mac by identifying large files so you can consider deleting them manually. Sierra boasts plenty of other features too, such as Auto Unlock, which eliminates the need to enter a login password if you’re wearing an associated Apple Watch. Then there’s Picture in Picture, which floats a resizable video window from Safari or iTunes in any corner of your screen while you pretend to get work done. Finally, of Sierra’s bundled apps, Photos sees the most changes, with improved automatic recognition of faces, plus object and scenery recognition. 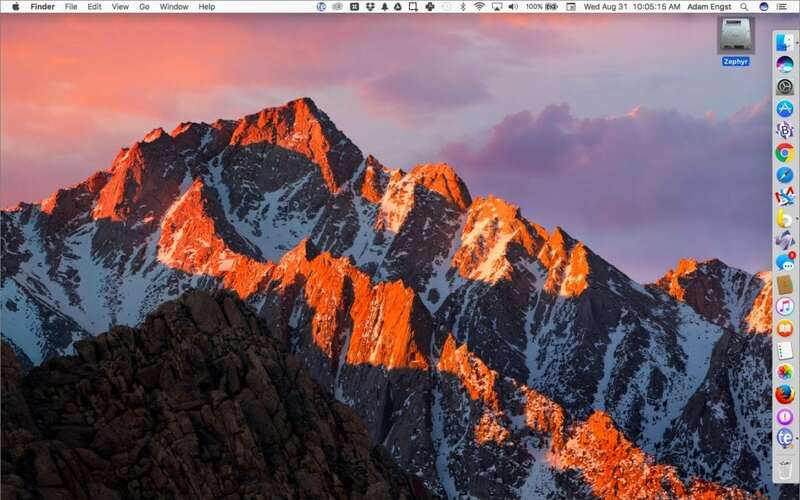 Although Sierra won’t run on every Mac that’s compatible with El Capitan, it will run on MacBook and iMac models released in late 2009 and later, and on MacBook Air, MacBook Pro, Mac mini, and Mac Pro models released in 2010 and later. It will be a free upgrade and will be the default on every new Mac sold after its release. We’re looking forward to playing with all the new features and with Siri in particular—tune in for more details in the coming months!